Video Ad Mastermind (VAM) is the complete online training program created specifically for marketers, business owners, entrepreneurs and consultants to grow their business with video marketing. VAM is more than just a video course; it’s a comprehensive Coaching Program where you will be guided, step by step to implement the Video Ad Integration for your unique business. You will keep up to date with the very latest development on what is working right now on the major social platforms such as Facebook and YouTube. if you know you need to be using online video – but you’re not. You’re feeling overwhelmed and don’t know where to start. if you are a Coach, Author or Digital Product Creator looking to share your unique message with more people. if you’re already making videos, but you know they can be more effective. if you’re frustrated because you’re making little or no sales, your email list and website traffic just isn’t growing. Video Ad helps you to put your message in front of the right people, at the right time, when they are looking for the solutions you offer. 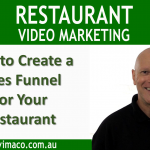 Video helps you to build trust and develop a relationship between you and your audience. This is why they will buy from you over anyone else. Video Ad Integration is your simple roadmap to consistently attract new Leads and Customers. Every successful business needs to have a reliable system to generate cash flow. 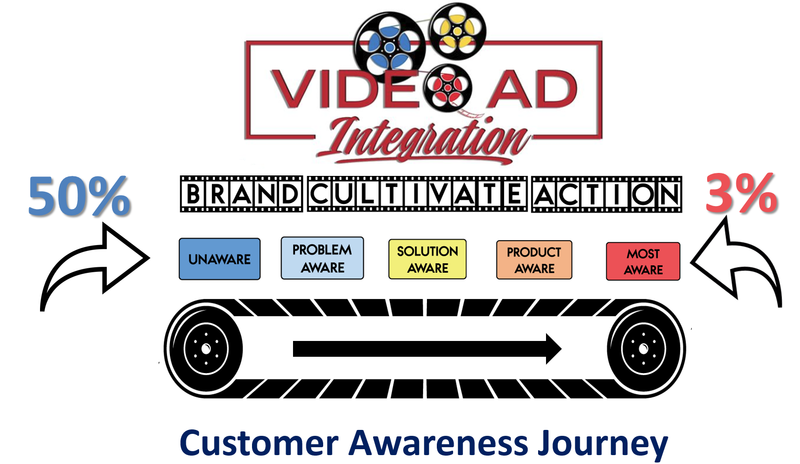 Video Ad Integration is a proven strategy that guides your ideal audience through the Customer Awareness Journey until they are ready to buy from you. Campaign #1 Brand Awareness targeting a Cold Audience. This simple but highly effective strategy works together to deliver you the absolute fastest way to go from struggling to profiting with your business. So how does Video Ad Mastermind work? When you join the Video Ad Mastermind program, you will have instant access to the very latest strategy in Video Marketing as well as the VAM Community where you will be able to share ideas with like-minded marketers and business owners. Each week you will be able to participate in exclusive online Masterclasses with Hot Seats, Q and A, and find out what is working right now. Plus you will have access to Video Ad Creator which provides everything you need for your videos. As a VAM Member you will receive special discounts on all of your video production needs including script writing, production, editing, Video SEO and advertising campaign management. We’re here to help you all the way to success. A BIG THANK YOU to Gerry for all your support in helping me to set up an Integrated Video System for my business. I always believed Video Ad Mastermind would work, but now I have a new problem - how can i keep up eith all of my NEW clients? Maybe you need to create a new course for that. Video Ad Mastermind Membership was exactly what I need to take my business to the next level. EXCLUSIVE OFFER:Monthly Membership just $67 for as long as you like.